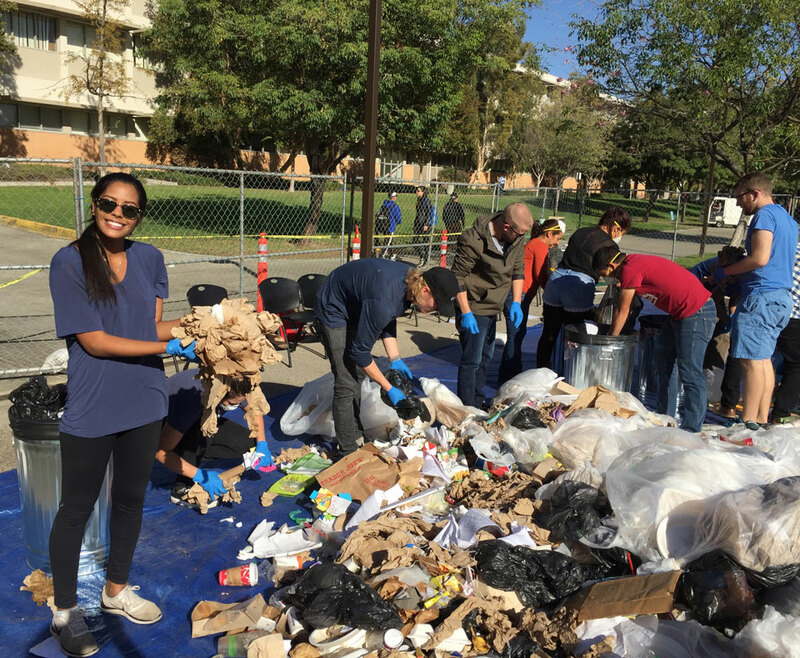 CSUN sustainability minor students work on a waste audit on campus. Photo credit: Sarah Johnson. 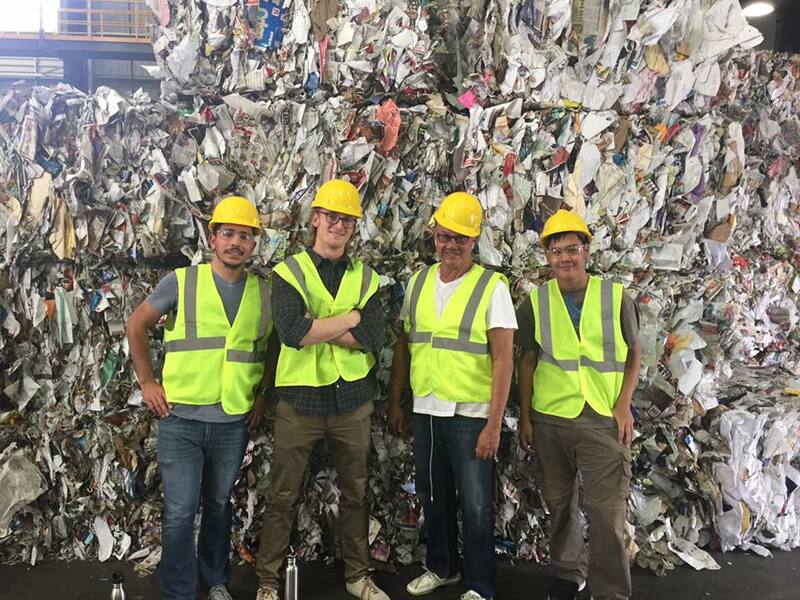 Students go off campus to lean about different areas of sustainability, such as recycling. Photo credit: Sarah Johnson. 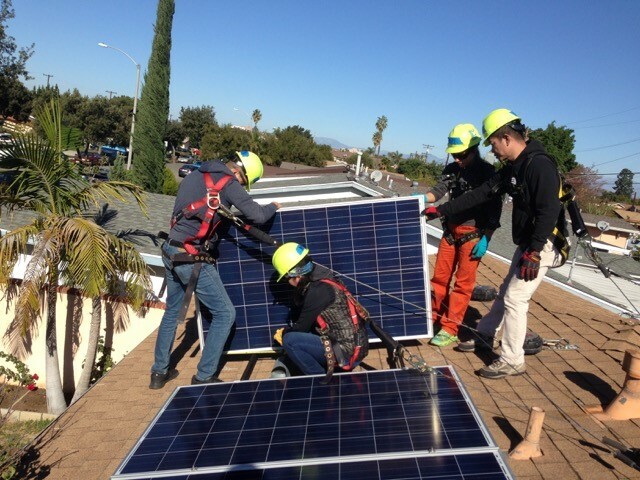 In Collaboration with GRID Alternatives, CSUN students learn about solar energy and how to install solar panels. Photo credit: Sarah Johnson. Greywater Corps works with CSUN students to install a greywater system to recycle water. Photo credit: Sarah Johnson. Kiana Lucero ’16 (Marine Biology) knows how to use kilowatt meters to determine energy use, install water aerators to reduce water consumption and how to do waste audits — highly useful skills for any profession and in personal lives, but rare for today’s college graduates. Lucero is one of the nearly 100 students who graduated from California State University, Northridge with a minor in sustainability, which she said has been serving her well personally as well as professionally. Sustainability refers to maintaining an ecological balance that refrains from depleting natural resources. The goal is to meet the needs of the present, without compromising the ability of future generations to meet their own needs. Sustainable standards in professional and personal lives benefit not only the environment but also help the economy to conserve resources. CSUN has offered the sustainability minor since 2011, and the program has blossomed in terms of popularity since its launch. The Institute for Sustainability worked with faculty across campus to determine the curriculum and course content for the minor, but the Department of Liberal Studies in CSUN’s College of Humanities hosts the program since the institute is not an academic department in itself. The minor consists of three core courses in sustainability and a choice of three electives in various disciplines. Many of those electives can overlap with students’ major requirements or general education courses. Two of the three core courses are hands-on classes in which students gain experience in real-life sustainability issues, go on field trips and explore volunteer opportunities. 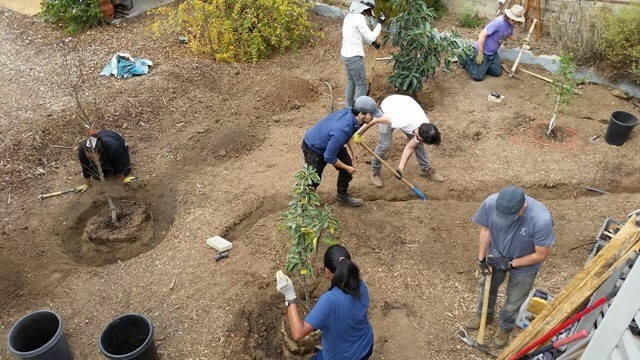 In Best Practices in Sustainability (SUST 310), students are involved in a variety of community service projects, often in partnership with organizations and institutions serving environmental sustainability within the community. Those organizations include companies such as GRID Alternatives, a nonprofit initiative that installs free solar panels for low-income homeowners, or Greywater Corps, which installs greywater systems to recycle used water in the greater Los Angeles area. The Applied Sustainability (SUST 401) class is a capstone course, in which students apply their knowledge on their own projects. Lundquist said that previous student projects have worked on projects such as installations of recycling methods like greywater systems or the organization of alternative food sources. Last semester, a student introduced crickets as an alternative protein source, since the insects contain significantly more protein than steak, chicken breast, eggs, or salmon ­– farming insects demonstrates a more sustainable method than farming livestock. Lucero, who took a sustainability class as a general education course for her marine biology major, wasn’t considering a sustainability minor at first — but the class sparked her interest.